Forms will be mailed to parents of children who are currently enrolled in the T/TH class who will be returning for the next years MWF class. Parents of any child currently enrolled in the MWF class, who may be returning for the next school year. Parents of children currently attending PNS who have siblings eligible for the following school year. Parents of former students who have a child eligible for the next years T/TH class. Parents have two weeks to respond before open enrollment begins. In case of over enrollment in one class applications will be processed, according to postmark time and date. All registrations must be mailed . We cannot accept hand delivered registration forms. After the two week priority period, registrations will be mailed on February 15th to everyone else who has requested one from P.N.S. Notices confirming class placement will be mailed as soon as possible. The Portsmouth Nursery School reserves the right to cancel any class due to lack of enrollment. Notices confirming class placement will be mailed as soon as possible. *The Portsmouth Nursery School reserves the right to cancel any class due to lack of enrollment. Tuition is based on the total cost of the school year program. The monthly fee is a breakdown of the yearly cost. Please keep in mind that if the “Tuition Payment Option” is exercised, tuition payments are actually made in 10 equal payments that are due on the first of each month. The first payment is due by June 1 following the acceptance notice. This payment will be applied towards your yearly tuition. The remaining monthly payments are to be made by the first day of each month (September 1 through May 1). We have a locked drop off box located on the wall in the hallway near the entrance to our room. You may deposit your checks or money order in this box. If for any reason your child must withdraw from school, please notify the Head Teacher as soon as possible. You are liable for the tuition payments until formally notify the head teacher. If you have paid the tuition in full, the remaining tuition will be refunded. Portsmouth Nursery School is a non-profit school: therefore, we do not have a large cash reserve. We depend upon your prompt payments to operate the school. If your tuition payments are late, it can hurt the school’s operating budget. A phone call or notice will be sent out for payments that have not been paid by the 10th of each month. If you are more than 10 days late with your payment, you will be assessed a late payment fee of $10.00 per month. If your check is returned for insufficient funds, you will be assessed a $25.00 fee. If your check is returned more than once, only money orders will be accepted. In the event that an account is two months past due, the child will not be able to attend school until payments have been made unless other arrangements have been made with the Treasurer. The child’s inability to adjust within several weeks time to the classroom routine, for example, constant crying, and separation problems, etc. Behaviors that place the child or other children at risk with regard to safety. Behaviors that are disruptive or interfere with other children’s learning. 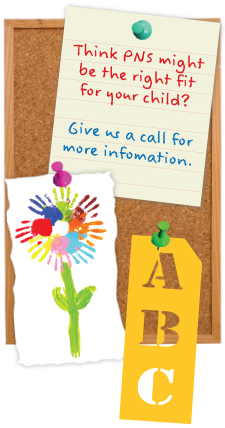 Services required on the part of the child can be better provided by another center or agency. Failure of the parent(s) or guardian to provide all required student permission/authorization health forms and immunization records, etc. Failure of the parent(s) or guardian to follow through with the recommendations of the school as correction of behavior or other problems resulting in no alleviation of the problems. Child’s inability to use the bathroom independently on an everyday basis.